Think it’s cold where you are right now? It’s not as cold as Ellesmere Island. The average temperature of its capital city Grise Fiord (population 130) is −16.5 °C (2.3 °F), according to Wikipedia. 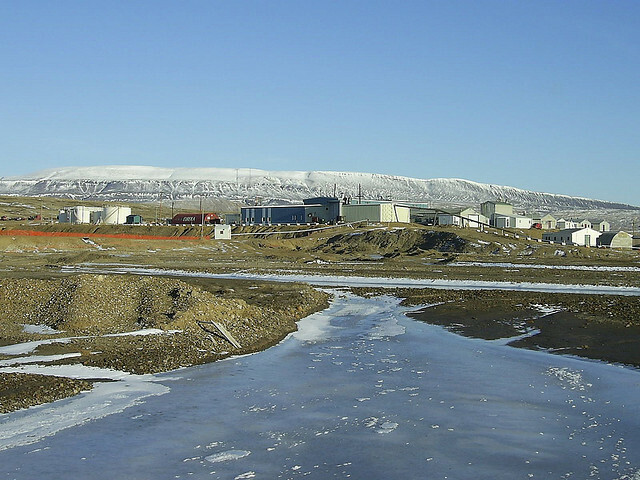 Only about 150 people (maybe even fewer) live on Ellesmere Island, and the permanent population of the town of Eureka is zero. Eureka, as you might have guessed, is predominantly a research station. Research on Ellesmere Island in northern Nunavut (Canada) focuses largely on weather and climate research, but perhaps its most famous discovery is Tiktaalik – a fish with limbs. Tiktaalik was discovered in 2004, and its importance was immediately obvious. It confirmed a prediction of the evolution theory that land animals originated from sea creatures. If that was true, the theory said, there should have been fish that could crawl on land. Not all fossils are easily found – some animals don’t fossilize, and some fossils don’t survive – so not finding a prehistoric fish with legs doesn’t prove that it never existed, but finding such a fish definitely proves that they did exist, and here it was, on icy Ellesmere Island: a fish with limbs. The discovery of the Tiktaalik fossil in 2004 wasn’t a fluke: more than 10 Tiktaaliks have been discovered to date according to the University of Chicago’s informative Tiktaalik site. It also wasn’t the only prehistoric fish to be unearthed (un-iced?) at Ellesmere Island: In 2011, a lobe-finned fish fossil of Laccognathus embryi was also found here. Laccognathus is not a predecessor of land animals, though, so this discovery didn’t receive as much press. There are probably other fish fossils buried on Ellesmere Island. When Tiktaalik was alive, in the Devonian era, this part of the world was not covered in polar ice, but was somewhere near the equator. 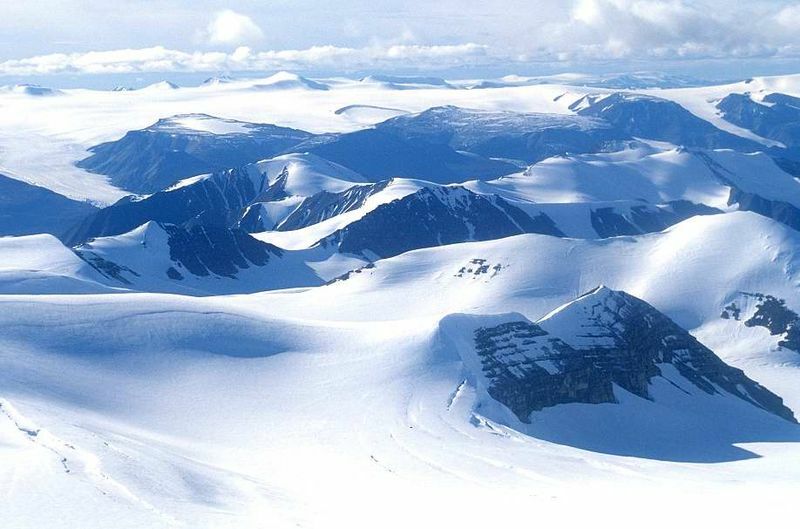 Ellesmere Island’s geographic history and undisturbed location make it the perfect spot for paleontology research. Just remember to bring a warm jacket. Images: Eureka research station by ceedub13 on Flickr;Tiktaalik fossil in Field Museum by Eduard Sola via Wikimedia; Tiktaalik illustration by Kalliopi Monoyios (used with permission); snowy Ellesmere landscape by Ansgar Walk via Wikimedia.